Welcome! This works very similarly to Facebook. You can accept friend requests and send private messages. Look under Members in the navigation bar at the top of the page to see if you know any folks already part of the community. It’s more fun to connect with @MornaMcDermott, for example. 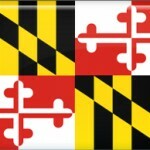 Hi Marylanders! Welcome to K12NN Community. Hopefully the conversations that take place here will be helpful. Each group has a group calendar and a wiki (Docs) to help you organize and build institutional memory. We can share our questions and advice for one another here. Lets use this site to create forums around specific questions or counties? Welcome, Morna! Looks like you were able to log in. Feel free to add something to the wiki (“Docs”) — you can attach files and create a post with links, photos/diagrams, videos, etc.